Everyone agrees, Chelsea are having an historically bad season. Just 15 points in as many games, only 3 points clear of the relegation zone. Every time it looks like José Mourinho has started to right the ship, another setback, like last weekend’s loss to Bournemouth, puts them right back under the kosh. How far back do we need to go to find a comparably bad start to a similarly dominant side for comparison? You do have to go back a ways–a full 16 months as it happens, and about 325 miles east. In August 2014, Borussia Dortmund were looking forward to improving on their second place finish from the previous season. It was their fourth straight top two finish, two of those as Bundesliga champions. Chelsea, by comparison, have only been champions once in the last four seasons, preceded by two thirds and a sixth place finish. Both teams also reached a Champions League final in that time, though Chelsea beat Bayern Munich while Dortmund came up short. And Dortmund, like Chelsea this season, had a charismatic coach admired by his team and credited with masterminding the club’s recent success. You may have heard of Jürgen Klopp; he’s kind of a special one too. Though comparable teams, Dortmund would have appeared, if anything, even less well equipped than are Chelsea to mount a dramatic turnaround. Chelsea has more or less exactly the same squad that won the championship last year, while Dortmund had been forced to part with top striker Robert Lewandowski over the summer (in fairness they had lost a major star each of the three previous summers–Mario Götze, Shinji Kagawa, Nuri Şahin–without notable setback). 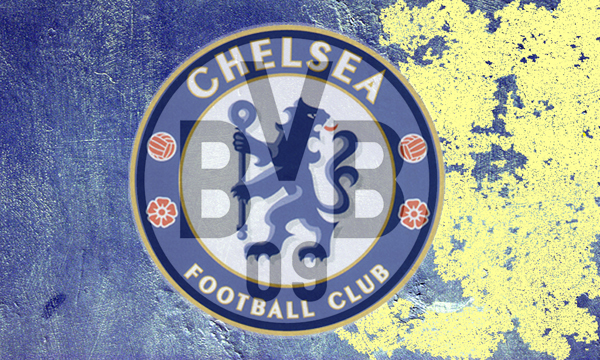 Moreover, Chelsea is currently valued at nearly twice Dortmund’s worth ($1.37 billion to $700 million according to Deloitte’s via Forbes); in terms of rankings, that makes them the world’s 6th and 11th most valuable football clubs respectively. Although these facts may make Chelsea’s start to the season more surprising than Dortmund’s, it also suggests that they should be even better placed to turn things around. So where did Dortmund end up? You probably know they weren’t relegated, and also that they didn’t make the Champions League (like the Premier league, that would have required a fourth place finish). But as it happens, they weren’t that far off. A 9-3-3 finish put them in 7th place by the end of the season, qualifying them for Europa League play. As for any hangover from the season from hell, Dortmund are currently back in second and odds on favorites to remain there with a 9 point lead on third place Borussia Mönchengladbach. That’s hardly the stuff of disaster. All of which should sound pretty good to Roman Abromovich; but there is one last turn of the tale that may give José Mourinho pause. As you probably also know, Klopp is no longer at Dortmund. Though he didn’t leave the club until the summer, he did announce his plan to leave immediately after the first–and only–major hiccup in that turnaround, a two-game losing streak (to the 1st and 3rd place teams). Dortmund only lost one more game the rest of the season (to the 2nd place team). Klopp wasn’t forced out, and it’s unclear how much if any his announcement contributed to Dortmund’s final push. But the reality of the matter is less important than the perception, in particular the perception of Roman Abromovich. Should Chelsea’s owner believe that a new manager is a necessary part of the turnaround package, it won’t much matter what a bunch of statisticians, José Mourinho, or anyone else thinks.